You might want to call me an Amazon woman. (Any laughs? Too nerdy for this blog?) Seriously, I am. I have found (with my intense love of a good deal), that I can usually get a steal on amazon.com. If I am not getting a huge discount, I am at least saving myself the work of getting in my car, driving to the store, and paying for gas! You have watched me link everything back to Amazon, and until now I don’t get any benefit from it – just the knowledge that you are getting the best deal! But, now I am fully embracing my love of Amazon! 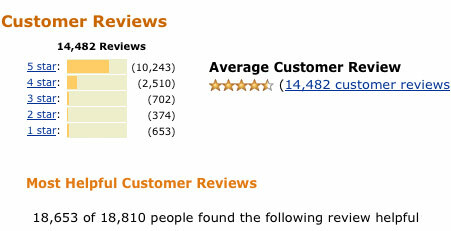 I have had a long-standing account with Amazon – and have a pretty extensive history. But now, I am officially an Amazon affiliate. This just means that I get a teeny tiny cut if you buy anything using my links. I am not asking anything extra. I only ask that if you buy anything from my posts, just use the links in the posts. It might just add up enough to be my monthly Starbucks fund! This won’t change a thing about my blog. I definitely won’t advocate anything I don’t personally use. And, not every post will be a money-making conniving scheme. I have just added a few little products in the bottom of some posts that give you easy links to my faves on Amazon. There is also a nice rotating slideshow on the right sidebar with some of my favorite things. Again. Nothing different! So, I will leave you with some of my absolute favorite things that Amazon offers. 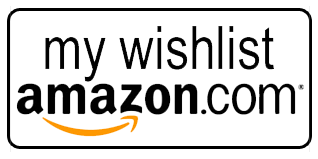 One, I LOVE (and daily use) the wish list and shopping list functions. If I am on your blog, and you mention your favorite wedge, I immediately go add it to my shopping list for further thought. Seriously, right now my lists are full of running shoes and wedges – because I need a few new pairs! I wrote about some Amazon shopping and wish lists techniques here. Two, I LOVE Amazon reviews. Even if I am not buying something on Amazon, I always read the review for the product. They have given me the broadest and most accurate reviews ever. This is an invaluable tool. Three, I do love Amazon Prime. Now, it is worth if for me and my husband because we buy so much from Amazon. But, I understand if that is not in the budget. But, I do love the two-day deliveries! Lastly, I love Amazon’s personal recommendations for me. Based on my purchasing history, it gives some awesome recommendations! Currently, it is recommending I buy Slow Cooker Liners and Maybelline New York Dream Lumi Touch Concealer. You know what, I think they are right. So, if you have an inkling to shop smarter – and if you have inkling to read my blog – maybe the two can work together :).